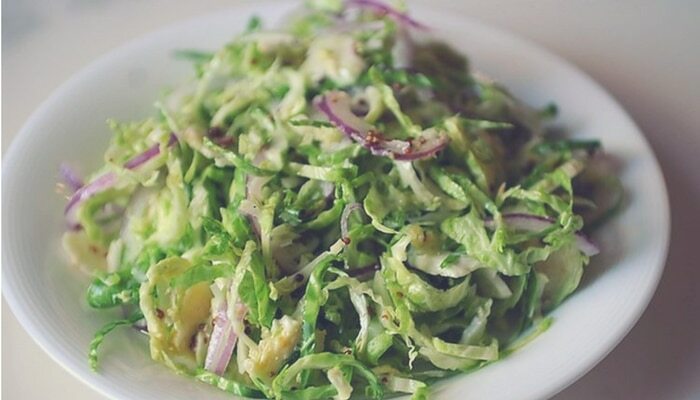 Don't panic, this is a Brussels Sprouts recipe that will make you forget you ever hated them! Delicately shaved raw Brussels sprouts with wisps of red onion, a light, lemony dressing spiked generously with whole grain mustard, and a generous hit of tangy Pecorino. Sound like any Brussels sprout experience you’ve had before? Maybe not.